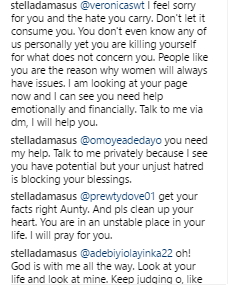 Today, Stella Damascus had time for the haters and she made use of it to call out every single one of them who trolled her. 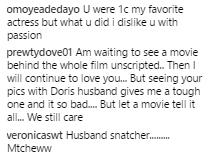 The mother-of-two who is married to Daniel Ademinokan, the ex-husband of actress Doris Simeon, shared photos of her and Daniel looking all loved up, and while some followers complimented the photos, others saw it as another opportunity to accuse her of snatching Doris Simeon’s husband even though the couple reportedly got together after Daniel and Doris were separated. 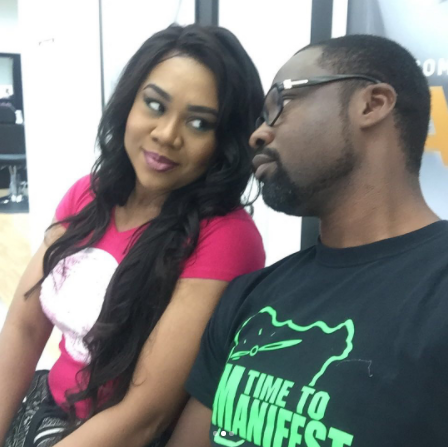 “Husband snatcher… mtcheww,” Veronicaswt replied to the beautiful photo. Oko Oloko. Na hin dey sweet pass,” Bimbocash said then added a grinning emoji. A few other commenters joined in to tell the actress that they no longer like her because of her relationship with Daniel. And Stella took her time to school them all.